Vermont Living Magazine presents a series of Vermont product reviews and commentary from native Vermonter Honi Bean Barrett. Ask us about Vermont Products or share Liz Lovely Cookies reviews. To feature your Vermont business, contact us. After seeing the website for Liz Lovely cookies I not only wanted to try their cookies, but I wanted to meet their owners. I emailed “Cowboy Dan, Maverick CEO” and he promptly emailed back to say that he was happy to share cookies with Try Vermont First. Here are the flavors that we are so anxious to tell you about: Liz Lovely Cowgirl Cookies “like cookie dough” – These are just like cookie dough! I would bet that if you gave this cookie to someone with a blindfold on they would have no idea that it wasn’t cookie dough. 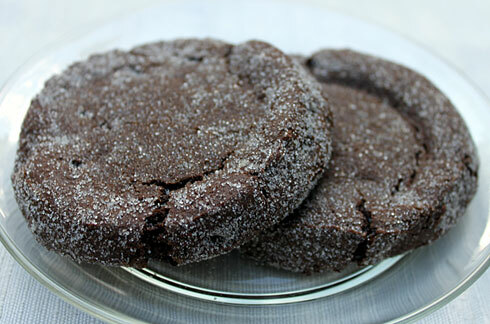 It is a soft, sweet cookie with just the right amount of chocolate. Ginger Snapdragons with Crystallized Ginger – My son said “they are just like Nonna’s”, and that is a huge compliment. Yum! 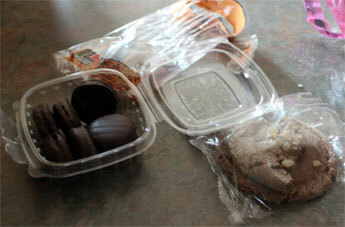 It is hard to stop eating these cookies. The crystallized ginger offers a sweet spice that warms your tongue. This might be my favorite cookie! Chocolate Moose Dragons – These cookies reach the highest level of chocolatey fudgieness ever. I ate the first one and kicked myself for starting this taste test with my husband, who I knew would want the other chocolate cookie. Note, next time I will hide these in the veggie drawer, he never looks in there! Lovely Oh’s – I had asked for this cookie specifically because I wanted to share it with my Oreo O obsessed little brother. I wanted to share with him what a real cookie should taste like. These are Oh so rich and Oh so sweet and OH so much better than an Oreo (there is no comparing, truly). My brother agreed that these cookies were great! Fast forward to Father’s Day 2012. I did not buy my husband fancy gifts or make him a special dinner, but I did present him with a package of Liz Lovely’s Gluten Free Chocolate Cookies and he was a very happy Daddy. He commented “Have you told this company how much we like their cookies yet? They are ridiculously good”. Look for Liz Lovely Cookies at your favorite food store. Honi Bean Barrett grew up in Vermont. After college and traveling afar, she knew that Vermont is where she and her family should and would settle down and plant roots. Her blog came to life after her son asked her to buy local products at a Vermont Farmer’s Market. Honi set out to try, test, sample, and review these homegrown products for friends and family. In the process she found products that she loves, and she loves supporting the Vermont economy! Read another of Honi Bean Barrett’s reviews and be sure to check out her blog: www.tryvermontfirst.com.